Sooo Friday we got to Utah at like 7:30pm, it was kind of sad because we totally forgot about the time change and that we would lose an hour and miss Jason's mission reunion (he went on a church mission to Spain for 2 years and there was a little reunion thing going on on Friday in Salt Lake) We ended up going out to eat with one of his mission companions that night so it worked out! We stayed up talking and talking (me, Jason, Shaney, & later her husband, Christian) till like 2:30am. I value my sleep probably wayyyy to much so I kept begging to go to bed haha I don't know what it is but I hate going to bed super late because no matter what my body will make me wake up at the same time every morning and I just hate being tired! Plus, we had tickets to watch the LDS conference live the next morning in SLC and you have to be there at like 7:30/8am to get in line to get inside. Obviously we didn't even go after all because we stayed up so dang late. Oops! 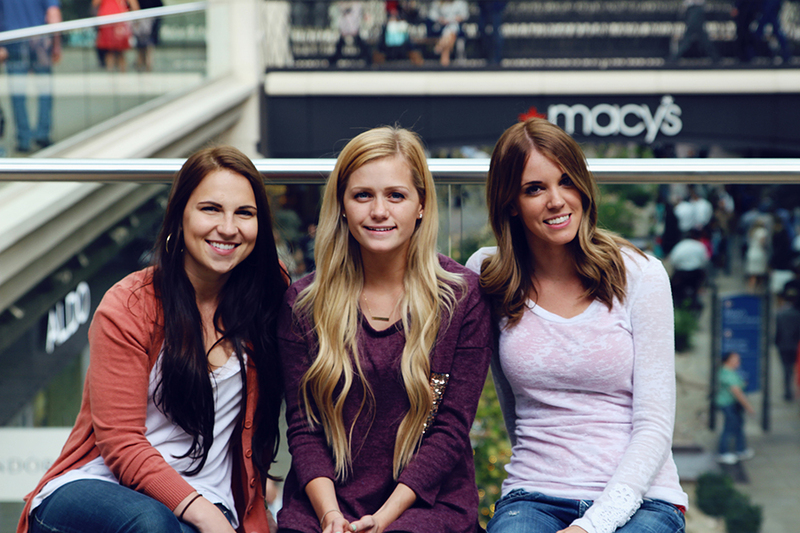 On Saturday we all went to lunch and hung out and then went and met up with Adelle at the City Creek Mall in SLC. That mall is amazingggg!! So many awesome stores! Jason and Christian are such good husbands haha they let us window shop at all the stores and take our sweet time while they waited for us to hurry the freak up. I picked up a cute shirt from Albion Fit that I'll show you guys later! But it was fun to just walk around and look at clothes and people watch and just so so great being with my favorite people ever. It was one of those days that I never wanted to end because I was just so happy! We went out to eat at Texas Roadhouse and our server hated our guts haha we have no clue why! He was just soooooo grumpy and acted like he would rather be poking his eyes out with a needle than serving our table. (That sounds dramatic but really he was so angry at life) Our food came and some of the steaks were cooked too much which wasn't a huge deal and we weren't going to say anything. A manager walked up and asked if everything came out ok and then Adelle spoke up and said her's was a little too cooked. The lady was so dang friendly and bubbly and the coolest lady ever and she goes "oh they're cooked too much? I'm so sorry! It's the servers fault so I'll just fire him. It's ok because he's my husband!" We couldn't believe that our server was her HUSBAND! I literally asked "Wait is he really your husband?" and he was. So yeah, crazyyy. He literally only got a decent tip because his wife was so cool and nice and the tip was basically just going into her bank account anyways and yeah. She deserved it. On Sunday we drove up to the canyon and took pictures and ate food and enjoyed each other's company. Just a relaxing day of hanging out and doing nothing! My cousin invited us over for dinner & it was really good to see some family before we left! We got to see my grandparents, too, for a second and then headed back to Shaney's so Jason could take a short nap before we drove home. We left Utah at like 10:30pm and drove for 9 straight hours. I was so tired in the car but couldn't fall asleep for basically forever. I have no clue how Jason stayed up all night driving home. Seriously if it were me driving I would not be here to tell the tale today because I would probably fall asleep behind the wheel and drive us into a ditch. Seriously I get so tired when I drive at night. Jason kept trying to find an open gas station to get an energy drink but everything was closed! It was so weird!! It seemed like the longest drive of my entire lifeeeee but we pulled in at 6:30am and we both just went to bed and slept in till noon! Utah was sooo much fun and everyone needs to convince Shaney and Christian to move back to Arizona :) I need all the help convincing I can get!! That sounds too short!!!! I think you needed a few extra days! And when are you going to address this awesome mermaid hair?!?! Also, I would pay big money for those shoes still. Stupid Target should repeat styles don't you think. I hate when really fun trips feel like they go by too fast because you ARE having so much fun! Love the photos you posted, too! Hopefully you get to go back sometime soon! It was so much fun and thank you!! I am liking this long hair so much :) thank goodness for extensions! The photos in the mall are amazing, I wish I had mountains that pretty to look at while I was shopping ;) That is lame about your server, I can't believe it was her husband! Glad you had a fun trip!!!!! Love your pictures! I'm so glad you had a great trip! 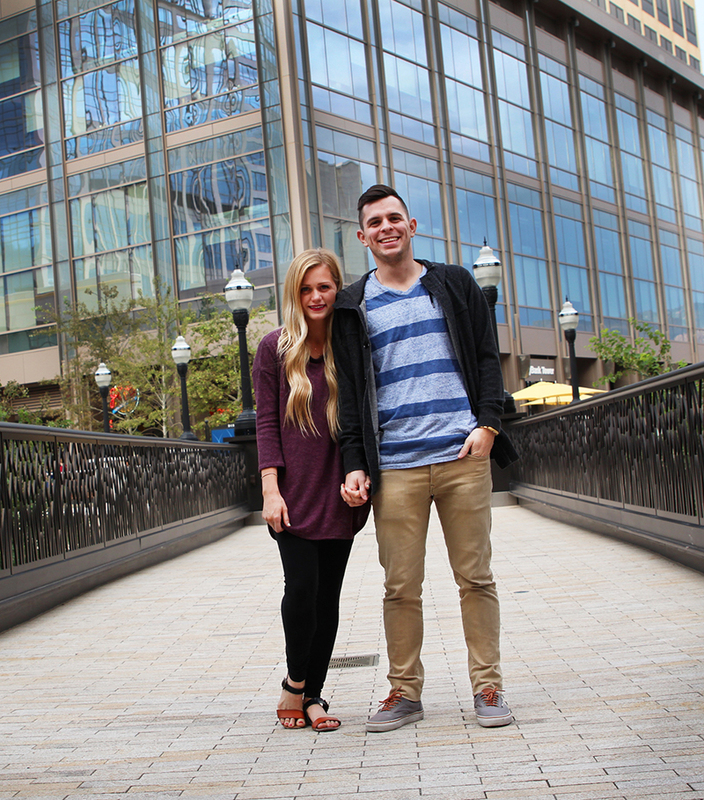 :) Utah is beautiful. I;ve been dying to go to Utah!!! It looks like such a gorgeous and beautiful destination!! I've only heard wonderful things said about it!! 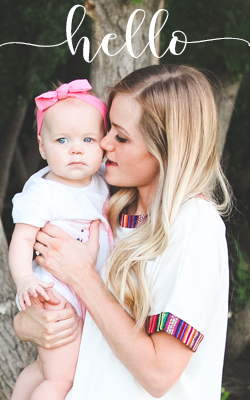 Thank you so much for sharing this post girly! Yay!! How fun! I always hate leaving after having so much fun too! It's always so tough! So glad you had a fun trip! So funny that the server was the manager's husband! Thank you!! It was a blast! hahah I know, I really was so shocked that our grumpy server was her husband! Husbands who can stay up all night to drive are awesome! Mine can do that and I'm the worst passenger because I tell him I'm going to stay awake to make sure he doesn't fall asleep, and an hour later I'm out! I just totally trust my husband not to wreck haha! I would've been sad to leave, too! It sounds like you had an amazing time!!!!! I was so sad!! haha but it really was so fun. Thank you!! All I ever hear about Utah is that it's beautiful and I can't wait to visit (hopefully soon!). Also, your hair is just to die for! You will love it if you go!! 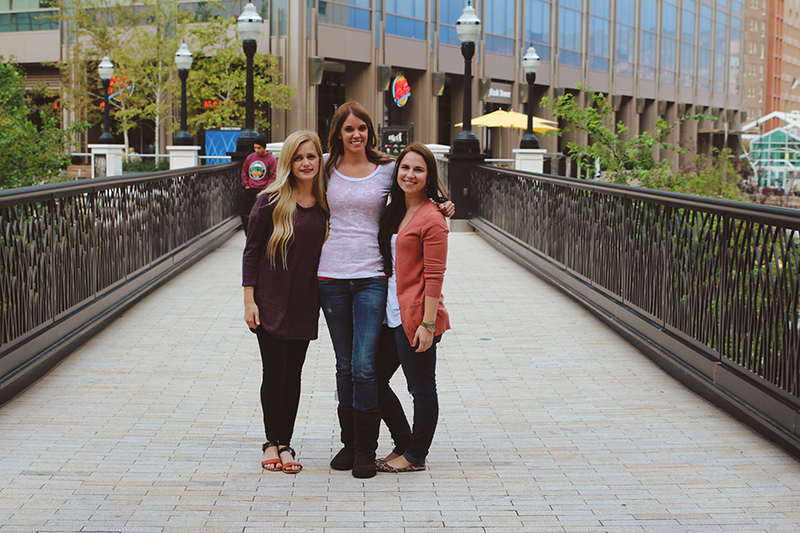 Park City is so gorgeous and SLC is an amazing city. Thank you soooo much!! I love Utah! I've only been a few times, but it is such a gorgeous place! Such a cute couple! I want your hair, please and thank you; just gorgeous! Thank you!! haha it was such a funny experience, the manager was SO DANG NICE!! LOLOL @ " if you can't read" Your hair looks great and I also turn into a high schooler around my best friends! hahah thank you!! Yay I'm glad I'm not the only one :) I just get so excited to see my best friends, I can't help it! You got the most gorgeous pictures!! I love documenting trips too - so all the writing is fine with me! 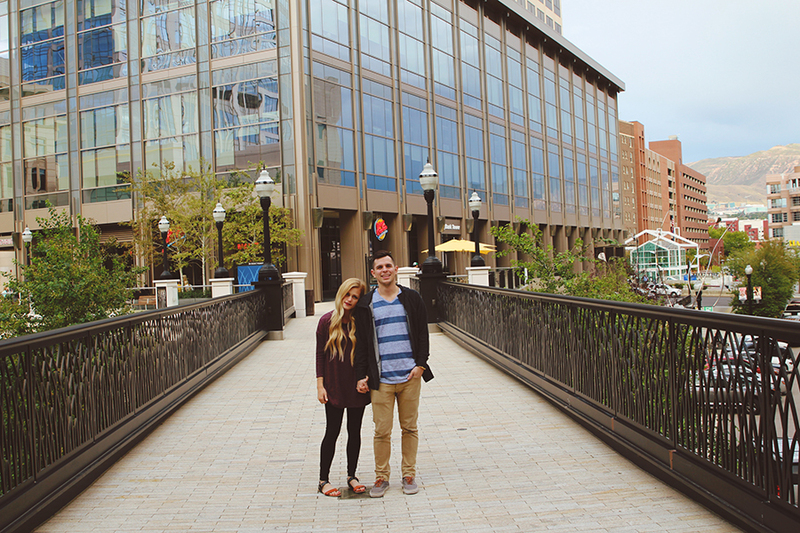 City Creek is one of my favorite places ever! Same, it's the best mall I've ever been to! loved the trip too! i can be that way about sleep--not wanting to be tired the next day and all. i always thought the tip went to the server, so there goes that idea! So weird that your server was so awful, but then just so happened to be married to the manager! Weird! It's good she was so nice to you guys, though! K seriously, I LOVE staying up and all but not super late, I love my sleep! :) It was worth it in the end and luckily my body let me sleep it, go body! haha Yes it was like so weird how different the server and manager were and they were married!! I would have never guessed that they were married! !